BlytheLife.com » QOTW: The age of your Blythes? 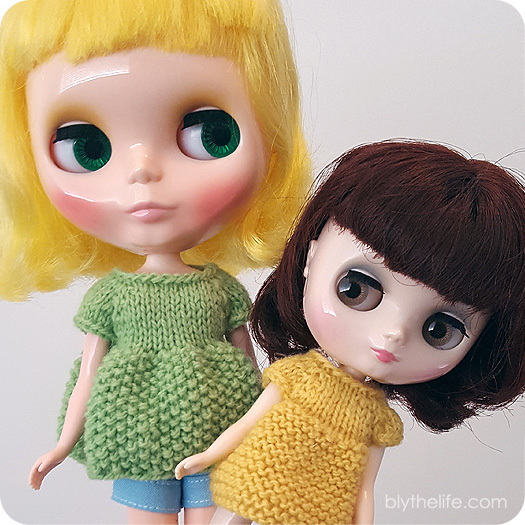 QOTW: What is the age of your Blythe? I tend to think of my Neos as being in their early 20s, I think. And the Middies are much younger. 12-13? My Anna Sui Blythe is definitely a lady… late 20s? While phoebe maybe is in her early 20s. Le Jardin is a teenager. And my middie is definitely a tween!!! I didn’t realize I had given them ages already in my head! I have four customized Neos that have a natural or “little girl” look about them: freckles, minimal to light colored “makeup”…etc. I think of them as being around 7 or 8 years old and usually dress them accordingly. Two of my custom girls along with the rest of the uncustomized Neos could range from 13-20 years old, but I don’t really think about their age too much. Sometimes I dress them younger and sometimes more fashionable. Oddly, my uncustomized middies seem older than some of the customized Neo girls based on their clothes, makeup and overall facial features, so I rarely photograph my Neos and Middies together even though I think it’s cute when other people can pull that off. The apparent age of some of my dolls vs. the size of others just doesn’t work with most of my current doll collection. I think it has a lot to do with the makeup, the face mold, and the arbitrary sense of style or personality I give my dolls. For instance, I always see dolls with bold makeup as being older. Likewise, FBLs have such baby faces that I find it difficult to see them as any older than 10.